I fell in love with this 50% cotton 50% soy supersoft yarn. All the colors they have are amazing. 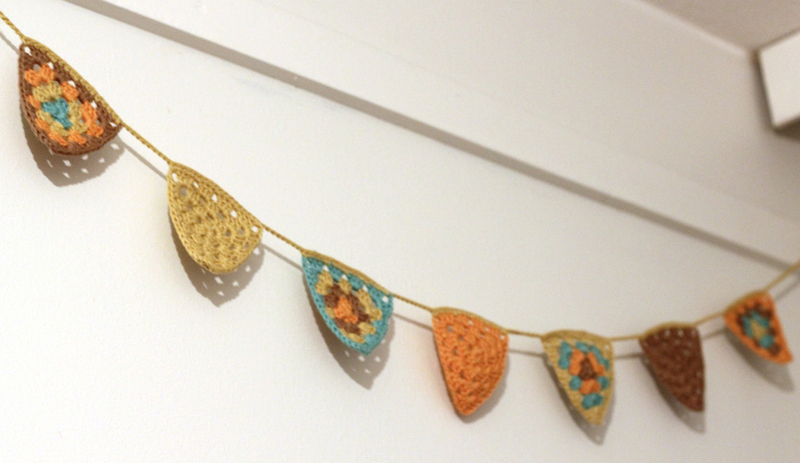 I've made two crochet garlands with it. Fot the first one i used this tutorial. The second one is a triangle version of good old granny square.